Today, Sabrina and Versalume, leaders in performance apparel and laser-fiber lighting respectively, announce the joint development of wearable smart garments. Santa Clara, CA, December 11, 2018 --(PR.com)-- Sabrina, a global leader in performance apparel, and Versalume, an integrated fiber-laser solutions provider today announced a joint development engagement on smart garments for business clients. Smart garments have been the focus of wearable technology for some time. Innovation in this field has included monitoring of biometric symptoms while running, biking, or resting in bed. The introduction of lighted fiber integrated with sensors into smart clothing would allow visualization of such, giving users an unprecedented experience in normal day usage. 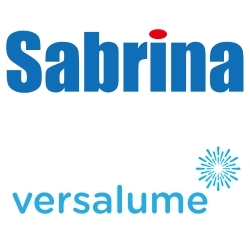 “Versalume has strong technical ability and experience in its professional field, therefore, Sabrina Group decided to cooperate strategically with Versalume. Collaboratively, we are dedicated to providing the best smart garment development services and solutions to our business clients,” said Mr. Oliver Hsu, the Chief Operating Office of Sabrina Group. Sabrina Fashion Industrial was founded in 1974, and currently is among the top suppliers of cycling, training, protective base layer, tennis, golf, and other sports apparel to leading global brands. Sabrina has established a network of operations that spans five countries. Headquartered in Taiwan, the company has also established manufacturing facilities in mainland China, Cambodia, and Myanmar. Versalume™ LLC is an integrated laser-fiber solutions provider disrupting the lighting industry as we know it today. This Silicon Valley-based company focuses on rapidly developing smart, integrated products and solutions using Corning® Fibrance® Light-Diffusing Fiber technology. Versalume works with a variety of designers and industry pioneers to create opportunities for international markets in areas including consumer electronics, wearables, architecture, PC-gaming, automotive, medical, and military.